Making Your HOME Dreams Come True! Welcome to the Foster Beckman Group! We are an experienced real estate team dedicated to helping you buy, sell or invest in property in the Las Vegas Valley. Buy, Sell and Invest - With Confidence! We know that you have an unlimited amount of choices when choosing a real estate professional, and that is why we make sure each and every client we work with has the finest possible experience. Our number one goal is to serve YOU, so that your real estate transaction is as painless and stress free as possible. Since 2008, FBG has provided exceptional customer service with the highest ethical standards to our clients, and that is why you can have confidence knowing that we will take care of you, every step of the way. You probably know that the real estate market in Las Vegas has been improving over the last few years, but do you know what your home is currently worth? How do I know the best price to list my home at? How can Foster Beckman Group help me get the best price for my home? We know that 90% of home buyers start their search online when looking to buy a new home. That's why our extensive marketing plan includes listing your home on the most important websites on the internet. In addition, we will use a combination of print and electronic media to market your home to the masses, creating the buzz your property needs to sell fast and for top dollar! Buying a home can be a stressful time. Can you qualify for a loan? How much house can you afford? Should you buy a new home or a previously lived in home? How can you assure your offer is accepted? As a buyer's representative, our job is to help you get through the home buying process as smoothly as possible. From our first meeting for your Buyer's Presentation at our office to the close of escrow and obtaining your keys, we will be with you every step of the way ensuring that you get the right house for you at the best possible price. Las Vegas is currently experiencing a renaissance of new home construction through out the city, including Summerlin, Centennial, Mountains Edge, Rhodes Ranch, and Sterling Ridge, just to name a few. 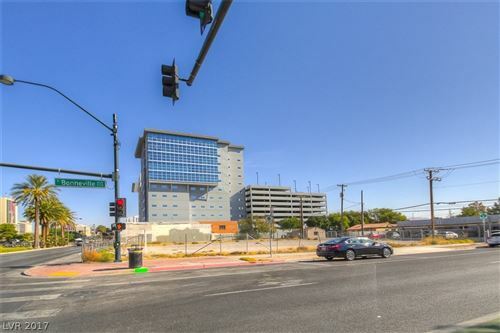 In fact, there are currently over 150 new home sites in the Las Vegas valley, with home prices ranging from the $160,000's to over $1,000,000. If you are going to purchase a new home, do you still need a REALTOR®? The answer is a resounding YES! When you purchase a new home, the home builder is the seller, and just like with a previously owned home the seller wants to get the most from the sale. A Buyer's Representative will work on your behalf to help you get the very best deal on a new home, since we work for YOU and not the builder! When you are ready to sell your house, buy a new or previously owned home, or make an investment in Las Vegas real estate, the Foster Beckman Group is here to serve you. Call us today to find out how we can help make your next real estate transaction a pleasant and profitable experience! For all of your real estate needs, please call Mary Kay Beckman at 702-686-2695 today!